EXECUTIVE STYLE HOME w/3958 square feet of Views in The Residences at Kulamalu on the 7th Tee! Wonderful for large gatherings & entertaining. Relax & enjoy the ocean & mountain views on the over 1000sf of Lanai space. Chef's dream kitchen has sweeping granite counters with tall cabinets, & a large center movable island. Family room w/fireplace is the perfect spot to enjoy a glass of wine from your personal bar area. The master suite is on it's own level complete with en-suite bath which features marble shower, twin sinks & a large jacuzzi tub perfect for soaking your cares away. The upper level of the home features a gym area, game room, 2 bedrooms and a full bath. Don't forget to include the 3 car garage complete with its own full bath. A true value for the $ per Square Foot. Convenient to Shops, Restaurants, & all the Upcountry Charms. A true getaway paradise area of Upcountry. Approx. 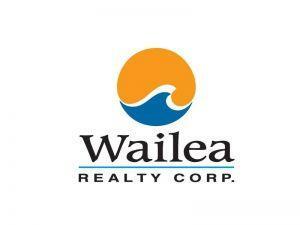 20min to Central Maui Hospital, and Beaches. I am interested in 3005 Aina Lani Dr, Makawao, HI 96768 (Listing ID # 379230).